Ford and Thomas Edison. These two large estates now serve as museums celebrating the lives and brilliance of their previous owners. Also popular, and perhaps more popular than the city itself, is nearby Sanibel Island, which lies just a short drive away. Sanibel is known as the Cape Cod of the south for its beachside villas and preppy manner as well as for its shell collecting, which is the best in the northern hemisphere. No visit to Fort Myers is complete without a visit to Sanibel as well. sure to book your hotel far in advance since rooms go fast from February through April. The area’s mild climate attracts visitors during the rest of the year, too, but to a lesser degree. Visiting in the summer comes with its own recompense: higher temperatures, humidity and occasional rain in exchange for discounted hotel rates and fewer crowds on the beach. However, be sure to keep an eye on the local weather since hurricane season runs from June through November. This city is my home. I've seen the development throughout 20 years of how this city has been built up from the bottom. It's so up and coming with many national businesses launching regional, national, and headquarter locations here. It's been known as the "snow bird" city but that has been changing in the last 5 years with Florida Gulf Coast University bringing in students and young people and giving the city life again. You're within access to some of the best beaches in the world such as Sanibel and Captiva. And you can't beat the cost of living down here. 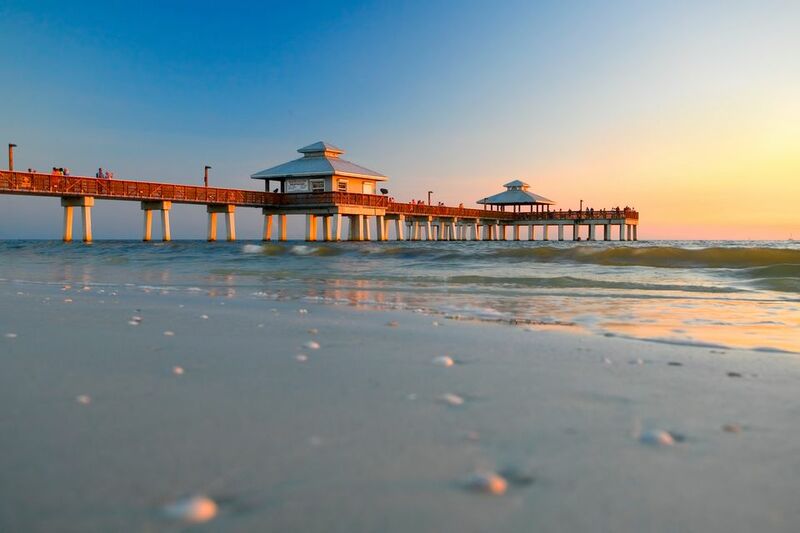 Fort Myers is the perfect place for your beach getaway that avoids crazy party goers and gives you the relaxing vacation your family and friends are looking for. This place was my home for 20 years and I always enjoy every visit back here and constantly finding something new each trip back home. I've always considered Fort Myers to be more of a base of operations for visiting Sanibel and Captiva. That said, the beaches along the intercoastal waterway and the Sanibel Causeway, itself, are picturesque and you can stay in the local hotels for much less than you would pay on island. Downtown Fort Myers Water District! Old town with new flare! Great Restaurants and night Clubs oh and don't miss the Sky Bar on Hendry St ! New Years Eve ball Drop - Party! Bike Nights! And so much more! Downtown night life - enjoy the music festivals, art festivals or Fort Myers Beach! Nice south western city in Florida. Easy to drive to and around with a number of good restaurants. The traffic can get busy on the main roads. It's home to Florida Golf Coast University. It's a beautiful place with not to much partying going on. Other than the college kids, this place is home to many retired coupled enjoying the Florida weather. Not because this is where I have lived most of my life but because it has a lot to offer if you look around. The Thomas Edison Winter Estates, the beaches, good restaurants, Sasse's and Yabo especially. A lot happening downtown with its renewal. Many shopping areas along with Dinner theaters, plays and symphony. Art and Music walks. Good place. I love this place .. the beaches are clean the sand is white and the people are so daggone friendly and there is plenty to do for all ages. I haven't been here yet, but I long to see the beaches of Fort Myers and the Big Green Monster at the JetBlue Stadium that opens in March 2012.